Sunglasses should not miss anyone, especially in summer. Eyes should be protected from UV rays because they are very vulnerable. American scientists have recently demonstrated that prolonged exposure to UV rays can lead to an increased risk of cataract, the leading cause of blindness. In fact we have detailed sometime ago, the reasons why you should wear sunglasses. Sunglasses were and are a must-have during summer. The different sizes and colors, frames and lenses that are more or less interesting, glasses are defining personality and personal style of each. We like to wear them because besides the fact that you require a certain attitude that still wear them when they fail to suddenly turn you into a mysterious and interesting person to others. At the beginning of their existence sunglasses do not even think it might have something to do with the fiery rays of the sun. True, something they were eager to do, namely arsonist Roman emperor Nero, who said the performance was the gladiatorial with polished emeralds. Nero use them as a mirror than solar filter. There were, however, and some people used in ancient times, goggles to protect themselves from the sun reflected in the Snow: Inuit. But they were using any lenses and glasses: their glasses are made of ivory, and their carrier through a slot for limiting sun exposure. In the mid 18th century, an English named James Ayschough, already dealing with various kinds of eyeglasses, concluded that blue or green colored lenses may help to correct eye problems. No they were not, yet, sunglasses. It believes, however, that glasses with colored lenses, this time yellow or brown, and syphilis were prescribed during the peak of the disease in Europe, 19th century. That’s because light sensitivity is one of the symptoms. We have not proposed here to do some of the top sunglasses for young ladies, but I want to draw attention to the importance of this accessory. It is very important for all of us but especially for young women to choose and wear a sunglasses. The three important features of this are: a frame highlighting features, its shape contrasting with the face, and be proportionate to the size of the image. 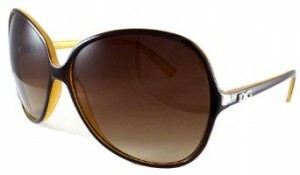 A triangular face needs slightly elongated frames, like those of the pilot model sunglasses or geometric shapes. A rectangular face is great glasses round, oval or cat eye, which “softens” facial lines. The oval face is best evidenced by the contoured shaped glasses, angular and geometric. An oblong shaped face and glasses fit round or square but oval edges. I explained above characteristics, perhaps to compensate for the lack of experience of young girls today, although I am sure that most are used to wear sunglasses and this accessory is a must have for any fashionista.